Stephen Offutt is one of the Nation’s preeminent Medical Malpractice attorneys. 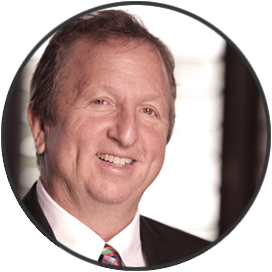 In 2014 the National Trial Lawyers Association named Mr. Offutt one of the 100 Best Trial Lawyers. This recognition following a verdict on behalf of a boy named “Jordan”. The jury returned a verdict in the amount of Thirty-Three million four hundred thousand dollars ($33.4M) in a catastrophic birth injury case. 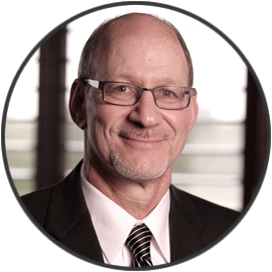 Stephen is licensed in Maryland & Minnesota and accepts cases nationwide. Jordan had been caused catastrophic brain damage at birth which later developed into a condition known as “Cerebral Palsy”. His brain damage was due to the medical negligence of his Health Care Providers. The injuries were so severe that he would need 24/7 care for the rest of his life. His mother needed help in obtaining justice for Jordan but the attorneys she initially approached declined. These attorneys probably declined because they were concerned that the case would be too difficult and costly for them to pursue. It is no secret in the legal community that taking on a case like this will require that attorney to go up against the Multi-Billion dollar insurance industry and the lawyers they will hire will spare no expense to defend the Health Care Providers responsible for the harm caused. It is an all out war and the insurance industry has endless resources. The case eventually came to Mr. Offutt who reviewed the merits of the case very closely with the assistance of medical experts. He determined that it was a clear case of medical negligence and the jury later agreed. Mr. Offutt filed suit on behalf of Jordan and after several years of relentless and aggressive work, the jury returned a verdict for Jordan in the amount of 33.4 Million dollars. Mr. Offutt then had a “Special Needs Trust” (SNT) established for Jordan that would take care of him for the rest of his life. Jordan’s verdict was the largest in Tennessee history. Fighting the Billion dollar Insurance Industry is tough, but Mr. Offutt has obtained other record breaking verdicts in his career. In Minnesota he won a 15.5 Million dollar verdict on behalf of “Dhevyn” – another little boy needlessly injured at birth and caused to suffer Cerebral Palsy. Again, a SNT fund was set up to care for Dhevyn for the rest of his life. Prior to 2004 Mr. Offutt worked for the insurance industry as a defense attorney representing defendants accused of negligently causing harm to others. As a defense attorney, he had a jury trial success rate of better than 95%. [su_accordion] [su_spoiler title=”Find out more about the report”] In 1999, the Institute Of Medicine (IOM) published a very important report entitled “To Err Is Human – Building A Safer Health System”. In this report they exposed “the nation’s epidemic of medical errors”. The report was based on two independent in depth studies concerning the estimates of “preventable” medical errors that kill patients in hospitals in the United States. This peer reviewed report exposed the harsh reality that negligent care by Hospitals and their employees is by some estimates the 8th leading cause of death in America. “Health care in the United States is not as safe as it should be–and can be. At least 44,000 people, and perhaps as many as 98,000 people, die in hospitals each year as a result of medical errors that could have been prevented, according to estimates from two major studies. Even using the lower estimate, deaths due to medical errors exceed the number attributable to the 8th-leading cause of death. This report talks about what it will take to correct this problem. The concerted effort they talk about includes the jury system. Jurors have incredible power to right the wrongs inflicted upon the individual by the powerful. The jury has the power to send a message to the medical profession and demand that proper care be given to patients. Over a dozen states where a Multimillion dollar result was achieved. TENNESSEE – LARGEST VERDICT IN TN HISTORY. JURY VERDICT FOR A LITTLE BY FOR HIS BRAIN INJURY/CEREBRAL PALSY CAUSED BY OBSTETRICIAN FAILING TO TIMELY DELIVER HIM BY C-SECTION. $10,000,000.00 WISCONSIN – VERDICT FOR LITTLE GIRL NEEDLESSLY CAUSED SEVERE BRAIN DAMAGE (I.E.CEREBRAL PALSY) BY HER HEALTH CARE PROVIDERS INATTENTION AND CARELESS CONDUCT. $15,500,000.00 MINNESOTA – LARGEST MEDICAL MALPRACTICE VERDICT IN STATE HISTORY AT THE TIME. DHEVYN WAS CAUSED SERIOUS BRAIN DAMAGE BECAUSE HIS DOCTOR REFUSED TO COME IN TO THE HOSPITAL TO DELIVER HIM DESPITE THE NURSES REQUESTS. MARYLAND – MENINGITIS CASE. LITTLE BOY WAS CAUSED SERIOUS BRAIN DAMAGE BECAUSE HIS HEALTH CARE PROVIDERS FAILED TO PROPERLY CARE FOR HIM WHEN AN INFECTION STARTED. DUE TO THE DELAY THIS CHILD WAS CAUSED NEEDLESS AND SERIOUS INJURY. WEST VIRGINIA – CEREBRAL PALSY. LITTLE BOY WAS CARELESSLY INJURED WHEN HIS HEALTH CARE PROVIDERS IGNORED SERIOUS WARNING SIGNS THAT HE NEEDED URGENT DELIVERY. THE DOCTORS AND NURSES NEGLIGENCE CAUSED THIS LITTLE BOY TO BE DEPRIVED OF OXYGEN FOR A SIGNIFICANT PERIOD OF TIME WHICH CAUSED SIGNIFICANT BRAIN DAMAGE. WV – CEREBRAL PALSY. ANOTHER CASE IN WEST VIRGINIA WHERE A LITTLE BOY’S HEALTH CARE PROVIDERS CARELESSLY FAILED TO DELIVER HIM IN A TIMELY MANNER WHICH CAUSED SEVERE OXYGEN DEPRIVATION AND RESULTED IN CEREBRAL PALSY. WV – CEREBRAL PALSY. YET ANOTHER CASE IN WEST VIRGINIA WHERE THE HEALTH CARE PROVIDERS IGNORED OBVIOUS WARNING SIGNS THAT THIS LITTLE BOY WAS IN DANGER AND FAILED TO DELIVER HIM IN A TIMELY FASHION. MN – CEREBRAL PALSY. LARGEST BIRTH INJURY VERDICT IN STATE OF MINNESOTA BEFORE MR. OFFUTT’S VERDICT ON BEHALF OF DHEVYN BLACKBURN LISTED ABOVE. ONCE AGAIN THIS LITTLE BOY’S HEALTH CARE PROVIDERS FAILED TO TIMELY DELIVER HIM WHICH LEAD TO HORRIBLE BRAIN DAMAGE. MN – CEREBRAL PALSY. THIS LITTLE GIRL WAS IN NEED OF URGENT DELIVERY UPON ADMISSION AT THE HOSPITAL AND HER HEALTH CARE PROVIDERS NEEDLESSLY DELAYED THIS DELIVERY BY HOURS AND HOURS. THE RESULT WAS OXYGEN DEPRIVATION AND CATASTROPHIC BRAIN DAMAGE WHICH RESULTED IN CEREBRAL PALSY. MD – WRONGFUL DEATH CASE. AS A RESULT OF IMPROPERLY REMOVING A CENTRAL LINE FOLLOWING A SIMPLE OPERATIVE PROCEDURE, THIS GENTLEMAN DEVELOPED AN AIR EMBOLISM WHICH CUT OFF HIS BLOOD SUPPLY AND RESULTED IN HIS DEATH. THE AMOUNT OF THIS SETTLEMENT IS REFLECTIVE OF THE FACT THAT THE STATE OF MARYLAND HAS A HARSH AND SOME SAY UNCONSTITUTIONAL CAP ON NONECONOMIC DAMAGES. MD – NEGLIGENT SURGICAL CARE. DUE TO A DOCTORS INAPPROPRIATE AND CARELESS SURGICAL PROCEDURE, THIS WOMAN WAS CAUSED TO SUSTAIN MASSIVE INJURIES INCLUDING SEVERE SEPSIS THROUGHOUT HER BODY. MD – CEREBRAL PALSY. A LITTLE GIRL WAS CAUSED MODERATE BRAIN DAMAGE DUE TO THE NEGLIGENT CARE OF HER HEALTH CARE PROVIDERS. MN – FAILURE TO DIAGNOSE. A THIRTEEN YEAR OLD BOY SUSTAINED A MILD STROKE AND WENT TO THE EMERGENCY ROOM FOR TREATMENT. UNBELIEVABLY THE EMERGENCY ROOM DOCTORS GAVE HIM NO DIAGNOSTIC TEST AND SENT HIM BACK HOME BECAUSE HIS SYMPTOMS HAD LESSENED. TEN HOURS AFTER GOING HOME HE THEN HAD A MAJOR BUT PREVENTABLE STROKE WHICH CAUSED HIM SERIOUS COGNITIVE AND PHYSICAL PERMANENT PROBLEMS. MN – CEREBRAL PALSY. ANOTHER TRAGIC CASE DUE TO CARELESSNESS AND ARROGANCE. A FAMILY PRACTICE DOCTOR REFUSED TO BRING IN A SPECIALIST TO CARE FOR THIS LITTLE BOY’S MOM AND THEN FAILED TO HAVE A SURGEON AVAILABLE TO DELIVER THIS CHILD BY CESAREAN SECTION. THE RESULT WAS THAT THIS LITTLE WAS DELIVERED HOURS AFTER OBVIOUS SIGNS DEMANDED DELIVER AND CAUSED HIM OXYGEN DEPRIVATION AND SERIOUS BRAIN DAMAGE. PA – BRAIN DAMAGE. LITTLE GIRL WAS CAUSED SEVERE BRAIN DAMAGE WHEN HER DOCTORS IGNORED OBVIOUS SIGNS THAT SHE WAS IN DISTRESS AND NEEDED TO BE DELIVERED. THIS WAS AN EGREGIOUS CASE WHERE THE HOSPITAL HID THE EVIDENCE UNTIL DAYS BEFORE TRIAL. SC – BRACHIAL PLEXUS. THIS LITTLE GIRL’S DOCTORS FIRST MISINTERPRETED AN ULTRASOUND THAT WOULD HAVE REVEALED SHE WAS A LARGE BABY AND IT WOULD BE DIFFICULT TO DELIVER HER VAGINALLY. PREDICTABLY AT DELIVERY THE DOCTOR HAD A TERRIBLE TIME GETTING HER THROUGH THE BIRTH CANAL. MISTAKENLY, THE DOCTOR THEN PULLED ON THE LITTLE GIRL’S HEAD TO REMOVE HER WHICH SEVERELY INJURED HER BRACHIAL PLEXUS NERVE. THE LITTLE GIRL NOW HAS SIGNIFICANT DIFFICULTY WITH HER RIGHT ARM. IOWA – CEREBRAL PALSY. DUE TO THE CARELESSNESS OF DOCTORS AND NURSES, THIS LITTLE BOY WAS NOT DELIVERED IN A TIMELY MANNER. THIS CAUSED SERIOUS OXYGEN DEPRIVATION WHICH RESULTED IN SEVERE BRAIN DAMAGE. ALABAMA – CEREBRAL PALSY. ANOTHER CASE WHERE HEALTH CARE PROVIDERS IGNORED OBVIOUS SIGNS OF DISTRESS AND FAILED TO DELIVER THIS LITTLE GIRL IN A TIMELY MANNER. THIS RESULTED IN MILD TO MODERATE BRAIN DAMAGE. ILLINOIS – CEREBRAL PALSY. ANOTHER CASE WHERE HEALTH CARE PROVIDERS IGNORED OBVIOUS SIGNS OF DISTRESS AND FAILED TO DELIVER THIS LITTLE GIRL IN A TIMELY MANNER. THIS RESULTED IN MODERATE TO SEVERE BRAIN DAMAGE. NC – CEREBRAL PALSY. THIS LITTLE BOY WAS SEVERELY INJURED BECAUSE OF OXYGEN DEPRIVATION. HE NEEDED HIS DOCTOR TO RECOGNIZE OBVIOUS SIGNS OF DISTRESS AND TO DELIVER HIM JUST ONE HOUR EARLIER. TRAGICALLY THE NURSES KNEW THIS AND ACTUALLY TOLD THE DOCTOR THIS NEEDED TO BE DONE BUT THEY STAYED SILENT AND WATCHED THIS DOCTOR COMMIT MALPRACTICE. BOTH THE HOSPITAL ON BEHALF OF THE NURSES AND THE DOCTOR WERE RESPONSIBLE FOR THIS INJURY. MD – SURGICAL NEGLIGENCE. DUE TO A SERIOUS ANESTHESIA MISTAKE THIS WOMAN’S BLOOD PRESSURE PLUMMETED AND LEAD TO A STROKE WHICH LEFT HER WITH SOME EYESIGHT, BUT LEGALLY BLIND. A FURTHER TRAGEDY IN THIS CASE IS THAT THIS WAS A CASE AGAINST THE FEDERAL GOVERNMENT WHICH PROTECTS ITSELF BY PUTTING CAPS ON AN AMOUNT THAT SOMEONE NEGLIGENTLY INJURED CAN RECOVER. MN – WRONGFUL DEATH CASE. CHILD WAS TRAGICALLY CAUSED OXYGEN DEPRIVATION WHICH CAUSED SUCH SEVERE BRAIN DAMAGE THAT THE CHILD LATER DIED. BECAUSE OF THE LAWS IN MINNESOTA THERE IS A CAP ON WHAT CAN BE RECOVERED IN A WRONGFUL DEATH CASE. MN – CEREBRAL PALSY. ANOTHER CASE WHERE A CHILD’S HEALTH CARE PROVIDERS IGNORED OBVIOUS SIGNS OF DISTRESS AND FAILED TO DELIVER HIM BEFORE SERIOUS BRAIN DAMAGE WAS CAUSED. IN THIS CASE THE BRAIN DAMAGE WAS MODERATE. MN – MILD CEREBRAL PALSY. ANOTHER CASE WHERE A CHILD’S HEALTH CARE PROVIDERS IGNORED OBVIOUS SIGNS OF DISTRESS AND FAILED TO DELIVER HIM BEFORE BRAIN DAMAGE WAS CAUSED. IN THIS CASE THE BRAIN DAMAGE WAS MILD. MN – FAILURE TO DIAGNOSE/BRAIN DAMAGE. THIS LITTLE BOY’S HEALTH CARE PROVIDERS COMMITTED A SERIES OF ERRORS. FIRST THEY FAILED TO DIAGNOSE A SERIOUS CONDITION HE HAD IN UTERO WHICH WOULD HAVE REQUIRED DELIVERY AT A HOSPITAL WITH PERSONNEL ABLE TO SAFELY DELIVER HIM. THEN THEY FAILED TO RECOGNIZE THAT HE WAS IN SERIOUS DISTRESS AFTER BIRTH AND OBTAIN AN IMMEDIATE TRANSFER TO AN APPROPRIATE FACILITY. THE END RESULT WAS SERIOUS BRAIN DAMAGE. MN – CEREBRAL PALSY. IN THIS CASE THE NURSING STAFF KNEW THAT THIS CHILD’S DOCTOR WAS MAKING SERIOUS MISTAKES. THE NURSE DID INFACT GO TO HER SUPERVISORS TO CORRECT THE SITUATION BUT HER EFFORTS WERE TOO LITTLE AND TOO LATE AND THIS LITTLE BOY SUFFERED SERIOUS OXYGEN DEPRIVATION WHICH LEAD TO CEREBRAL PALSY. MN – BRAIN DAMAGE. MISMANAGEMENT OF LABOR AND DELIVERY RESULTED IN BRAIN DAMAGE AND CEREBRAL PALSY. MN – FAILURE TO PERFORM EMERGENCY C-SECTION. RECOVERY OF SIX MILLION DOLLARS AFTER MEDICAL STAFF FAILED TO APPROPRIATELY INTERPRET AND RESPOND TO EVIDENCE OF FETAL COMPROMISE AND PERFORM EMERGENCY C-SECTION RESULTING IN BRAIN DAMAGE. MN – CEREBRAL PALSY. RECOVERY FOR A CHILD WHO SUFFERED CEREBRAL PALSY AND MENTAL RETARDATION BECAUSE OF MISMANAGEMENT LABOR AND DELIVERY. MN – FAILURE TO RESPOND TO AN ELECTRONIC FETAL MONITORING DATA. MEDICAL STAFF DID NOT ACT ON CONCERNING FETAL MONITOR TRACINGS IN A TIMELY MANNER, LEADING TO BRAIN DAMAGE AND CEREBRAL PALSY. MN – FAILURE TO MANAGE INFECTION. FAILURE TO MANAGE SIGNS AND SYMPTOMS OF AN INFECTION THAT DEVELOPED SHORTLY AFTER DELIVERY RESULTING IN MENINGITIS. Due to Mr. Offutt’s abilities and experience he has been asked by attorneys and clients from around the country to represent them. However, if he is not licensed in a particular State then a Motion must be filed asking the court to approve his representation of that individual in their State or Federal court. Mr. Offutt has never been denied approval. Stephen Offutt is a named partner at the firm of Wais, Vogelstein, Forman & Offutt, LLC. Contact him through e-mail [email protected] or phone (443)-524-7384.